In Trinidad and Tobago today, anyone interested in volunteering has quite a number of causes and organisations to choose from. Organised volunteering has certainly grown over the years with persons young and old getting involved in giving back to community on a consistent basis. Volunteering with ALTA is a commitment and could be a long process if you’re interested in becoming a tutor but the rewards are surely worth the investment. If you’re thinking about volunteering with ALTA but not too sure of the benefits, here are three benefits current ALTA volunteers enjoy! If you have a particular interest in education, teaching, learning or literacy, ALTA is the place for you. Whether you are a seasoned teacher or have never entered a classroom, volunteering with ALTA gives you the opportunity to learn and develop new skills. Before entering the ALTA classroom, you’re given the opportunity to observe ALTA teaching methods at a venue close to you and then you’re trained by expert facilitators and trainers during ALTA’s annual Tutor Training Course. ALTA tutors will tell you that the intensive training period is extremely rewarding. You are given thorough training in teaching methods, classroom delivery and team teaching. These are skills which will last a lifetime and which you can use with your own children. When you begin teaching, you will gain further skills in time management, patience and creativity which will benefit you in your personal and professional life. 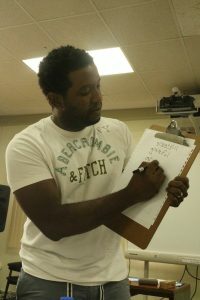 At the end of the academic year you are certified as a trained adult literacy tutor. Many of the skills you learn as a volunteer can also come in handy at your workplace and make you a more dynamic and holistic person. When you volunteer with ALTA, not only are you giving back to the national community by improving the national literacy rate, you may be assisting an entire family in your community. Sharing the skills of reading and writing with someone who may have children in their care can change the quality of life for an entire family. Many of the social ills which scourge Trinidad and Tobago can be removed if people were more invested in building community. We depend on each other for survival and so we should try to help each other in whatever way we can. If you have the opportunity to build your community and improve the society in which we live, why not help? Volunteering helps you to have a positive impact on another life. By working with ALTA, you will be returning to society some of the benefits that society gives you. Dedicating some of your time to a worthy cause is a good way to meet new people on a professional and personal level. ALTA classes ensure that you are able to spend time with other like-minded people and make meaningful connections. Many volunteer tutors have found lasting friendships in ALTA; friendships with co-tutors, facilitators, staff and students. Once you contact ALTA and sign up to be a tutor, after your interview, you will have the opportunity to meet people from all walks of life. You will interact with students and ALTA tutors during your class visits and observations and meet other prospective tutors during the training sessions. Imagine that you can do all this while making a difference! Call ALTA at 624-2582 and experience the benefits of volunteering with ALTA today! ALTA asks that interested persons have a Grade 1 or 2 CSEC English and the ability to commit to teach for one academic year (September 2018- July 2019). The Sustainable Development Goals are targets which member states of the United Nations have agreed to work toward. The goals cover a plethora of issues from poverty, education and health, to sustainable development, environmental factors and equality with the aim of transforming our world. ALTA’s work falls mainly under goal number 4: Quality Education. This goal speaks to “ensuring inclusive and equitable quality education and promoting lifelong learning opportunities for all” (United Nations, 2017). A solid education is truly one of the best ways to improve people’s lives. It is out of this idea that our current ‘live your best life with ALTA’ campaign was born. Goal number 4 is a means of encouraging governments around the world to invest in quality education and increase access to education – especially for young girls who for different cultural and economic reasons are often denied even a primary school level education. Many persons think that this only happens in poorer countries and regions, but there are many ALTA students who never learned to read and write because they were forced to leave school early to take care of relatives, work or help out at home. In Trinidad and Tobago education is mostly free but this is not enough. To ensure quality education our system has to be one which ensures that students in secondary school are literate – you would be surprised how many students in Forms 2 and 3 around our country struggle daily with reading and writing. By providing reading, writing and spelling classes to adults (16+), ALTA hopes to empower persons through literacy. Our comprehensive, structured literacy programme offers anyone over the age of 16, the opportunity to improve their literacy skills using materials produced by ALTA with our students in mind. The programme ensures that our students are able to read to their children and assist them with their homework. This can change the culture of a home – parents become more involved in their children’s academic life and the material learned at ALTA benefit both parent and child. In this way ALTA is contributing to Sustainable Development Goal number 4. Our work also contributes to Sustainable Development Goal number 1: No Poverty and Goal number 10: Reduced Inequalities. Poor literacy skills undoubtedly affect individuals holistically, but people who cannot read and write well are more likely to live in poverty due to unemployment or lack of stable employment. People with poor literacy skills earn generally 30-42% less than people who are literate and their income tends to remain the same throughout their working life, as their literacy skills stop them from furthering their studies (World Literacy Foundation, 2015). Literacy can improve someone’s socio-economic status and also give them new opportunities. ALTA is proud to contribute to three of the Sustainable Development Goals through our literacy programme. The Sustainable Development Goals (SDGs) are targets which member states of the United Nations have agreed to work toward. The goals which were set in 2015 are meant to frame the policies and agendas of countries around the world until 2030. As one of the member states, Trinidad and Tobago has signed on to the agreement, but has not yet made clear which goals align with our top priorities. The 17 goals cover a plethora of issues from poverty, education and health to sustainable development, environmental factors and equality with the aim of transforming our world. 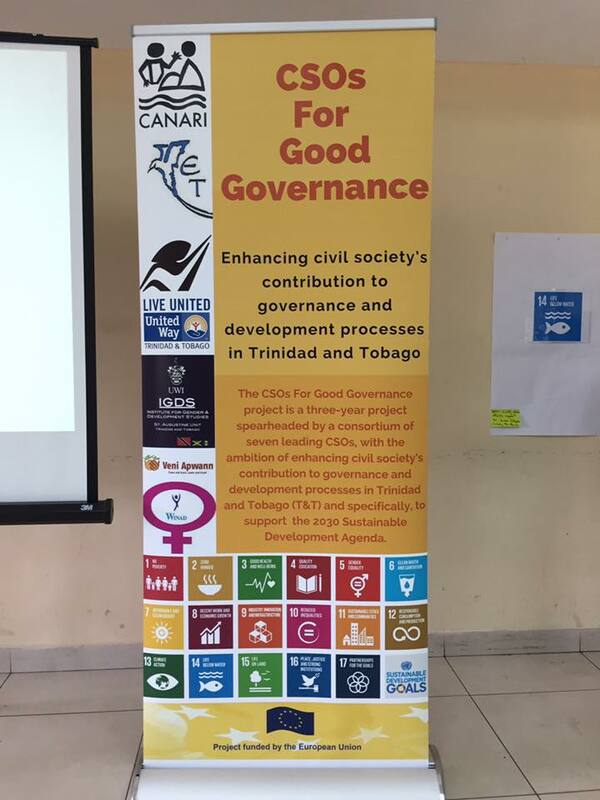 Civil society organisations (CSOs) around Trinidad and Tobago have worked tirelessly over the years on many of the issues covered by the 17 SDGs but not always cohesively. Collaboration and partnership have worked in advancing development in countries around the world and can work here too. With this in mind, on September 20, 2017 a group of 21 leading, local CSOs lead by a consortium of seven members officially launched the SDGs Catalyst Network. The group was formed with the aim of enhancing civil society’s contribution to governance and development process in Trinidad and Tobago. The launch was chaired by Dr Jennifer Sancho, CEO of United Way Trinidad and Tobago with a speech from Nicole Leotaud, Executive Director of the Caribbean Natural Resources Institute (CANARI). There were greetings from Arend Biesebroek , Head of the EU delegation to Trinidad and Tobago who is the main sponsor of the project, Peter Mitchell of the Ministry of Planning and Development and Hazel Brown of the Network of NGOs of Trinidad and Tobago for the Advancement of Women who was the CSO representative on the panel. After the launch, an inception meeting was held with all CSOs present to discuss the way forward for the project which will run for the next three years. During the meeting it became apparent that a lot of the work that organisations have been doing over the years is interconnected. This means that a lot of opportunities exist for partnership, capacity building and knowledge sharing within the network. 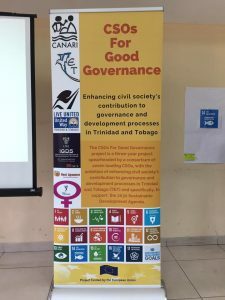 While the networks consist of 21 members, the knowledge and networking will surely benefit other CSOs around both Trinidad and Tobago which the members are connected to. The project consists of four components which are being led by CANARI, United Way TT and Veni Apwaan. The components will explore capacity building, advocacy strategies, networking and knowledge sharing. ALTA is looking forward to being a part of this esteemed group and using our network for good. According to the United Nations Educational, Scientific and Cultural Organization (UNESCO), it is estimated that some 775 million adults around the world lack minimum literacy skills. This means that worldwide one in five adults is still not literate. In addition to this, about 60.7 million children do not attend school and many more attend occasionally or drop out. This does not make for a good case of ending the cycle of poor literacy skills. Globally, while the literacy rate among youth has increased over the past two decades, gender and regional disparities are still very evident. The level of literacy in developed countries is still quite low and literacy rates are higher among males than females. In Trinidad and Tobago, 22-23% of our people aged 15 and over is unable to cope with everyday reading and writing. That’s almost 1 in 4 ‘Trinbagonians’ who are not literate. These statistics were the results of a 1994 Adult Literacy Tutors Association (ALTA) and 1995 University of the West Indies National Literacy Survey. Although these surveys were done over a decade ago, it is highly unlikely that a survey today would reveal any positive change. ALTA’s survey found that 8% of people over 15 years of age (which would have equated to 62,000 adults) could not read even 3 of these words: to, at, love, sun, bet. A further 15% could only read a little, adding another 118,000 adults. According to these two surveys, at best, our literacy rate stood at 78% in 1995 with some 180,000 adults unable to cope with everyday basic reading and writing. Fifty one years ago, UNESCO officially proclaimed September 8 as International Literacy Day. This was done to actively encourage communities worldwide to promote literacy as an instrument to empower individuals, communities and societies. The theme this year was ‘Literacy in a digital world’ which is quite fitting as our world is becoming more and more digital. The aim is to take a close look at the level of literacy skills which people need to navigate our digital world and to look for effective ways to help non-readers maximize opportunities provided in this digital world. International Literacy Day is celebrated by governments, private sectors, communities and non-governmental organizations around the world. In celebration of International Literacy Day locally, ALTA has registration for new students at libraries nationwide. 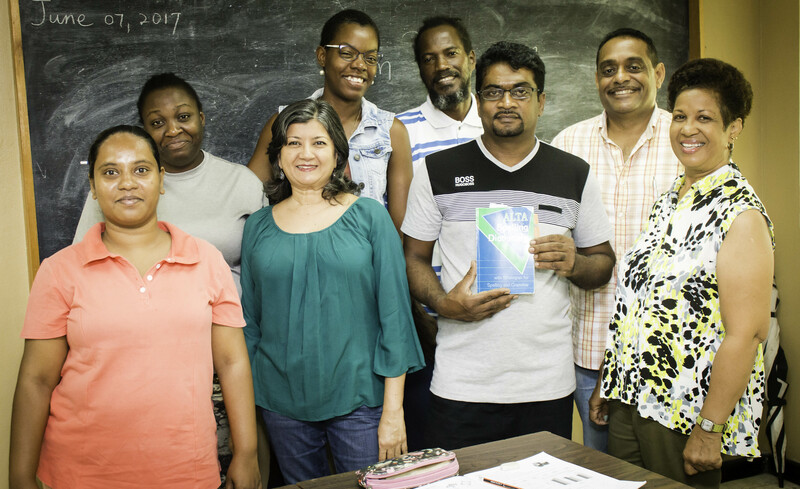 For the past twenty five years ALTA has delivered literacy instruction to adults in Trinidad and Tobago. ALTA students come from a wide range of backgrounds and come to ALTA for many different reasons. For some, ALTA represents an opportunity to be able to read to their children or help them with their homework. For others, ALTA gives them the opportunity to further their studies or live life freely, never having to decline a job offer or a relationship due to their literacy problems. Thousands of ALTA students have graduated the program at different levels and gone on to obtain school leaving certificates, Associate degrees, Undergraduate degrees and full time employment. Many others are now benefitting from new found self-confidence and independence. Today, ALTA brings you a short story from Level 2 ALTA student, Kenrick Deane, who is currently living his best life with ALTA! I have a small business making items for hardware stores around the country and my reading and spelling issues made the job very challenging. Things like making bills, completing forms, renewing my permit were difficult – I would always have to get someone to help me or I would have to make the bill before I deliver the items. This didn’t always work out when there were changes or additions to the bill when I got to the hardware. Spelling was my main issue, I could read a little but breaking up the words was always a challenge. I didn’t finish secondary school. I wasn’t a bad student, once I even came fifth in test, but it took me longer to learn and my parents weren’t able to help me. At school there weren’t many opportunities for me to read and my teachers either missed or ignored my problems. After Common Entrance I went to a Junior Secondary and left in Form 3 to do a trade. I wanted to start ALTA for a couple years well but I always put it off because of work. Last year I saw the advertisement on television and I said I’m going to register, I’m going to make the sacrifice because you don’t get lucky without some kind of sacrifice. I really want to expand my business. Right now my products go to stores in Trinidad and Tobago but I want to export to other countries. ALTA has helped me with my bills and forms. I know eventually I will be able to make the bill on the spot. I’m still struggling with the spelling but my ALTA tutors say that I’m doing okay. I’ve had wonderful patient tutors who are really encouraging. I’m coming along slowly but surely. One of my biggest issues is finding the time to practice at home but I make time for my business so I know I can make time for ALTA too. ALTA is extremely proud of Kenrick and all students who go on to live their best life with ALTA. 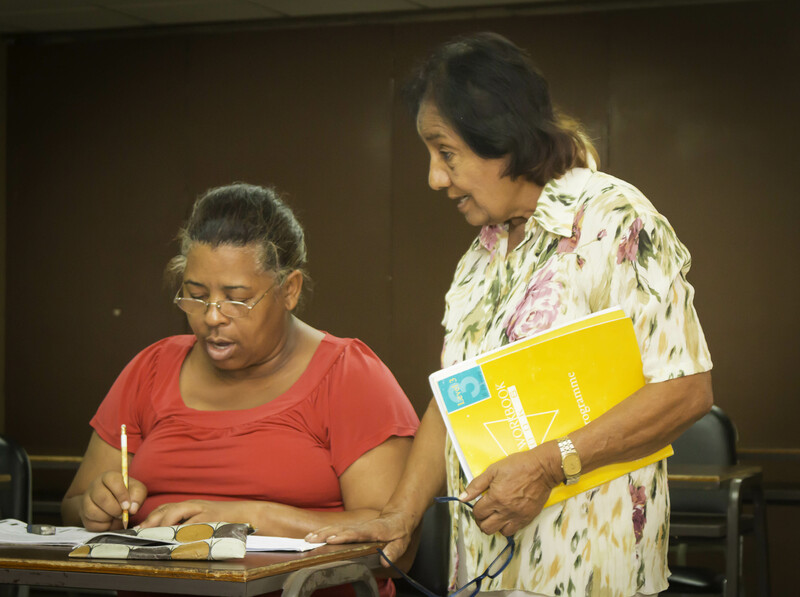 For the past twenty five years ALTA has delivered literacy instruction to adults in Trinidad and Tobago. ALTA students come from a wide range of backgrounds and come to ALTA for many different reasons. For some, ALTA represents an opportunity to be able to read to their children or help them with their homework. For others, ALTA gives them the opportunity to further their studies or live life freely, never having to decline a job offer or a relationship due to their literacy problems. Thousands of ALTA students have graduated the program at different levels and gone on to obtain school leaving certificates, Associate degrees, Undergraduate degrees and full time employment. Many others are now benefitting from new found self-confidence and independence. Today, ALTA brings you a short story from Level 2 ALTA student, Veronica Bailey, who is currently living her best life with ALTA! “I joined ALTA in September 2016. I had been meaning to join the classes for a long time but I kept missing the registration date. When I heard the advertisement last year, I made up my mind that I was going. I didn’t know there was school for old people! I have to say old because I am 52 years with five grandchildren! Before going to the class I constantly had to ask my daughter for help with writing, reading and pronouncing words. Many times I would go to church and they would ask me to read scripture – it was a lot of fumbling – I couldn’t even spell or write my address. All of these things encouraged me to go to ALTA. Two weeks ago my husband who can’t read or write had to go to licensing to get his truck license renewed. Normally, I would have to ask one of our daughters to go with him but I was able to go. He asked me “yuh sure you could fill out the form?” Of course I could! I completed the entire form by myself. My husband is shy, I would like him to go to the ALTA classes but he doesn’t want to. I would encourage anyone who struggles with reading, writing or spelling to go to ALTA. The teachers are really good. The students help each other in the classroom and if we aren’t able to help each other the tutors are there. They sound out the words for us and that really helps with spelling. I am able to do so much by myself now. Now I can go on Facebook…nobody is on Facebook more than I am and I can text, Whatsapp…everything! ALTA is extremely proud of Veronica and all students who go on to live their best life with ALTA. 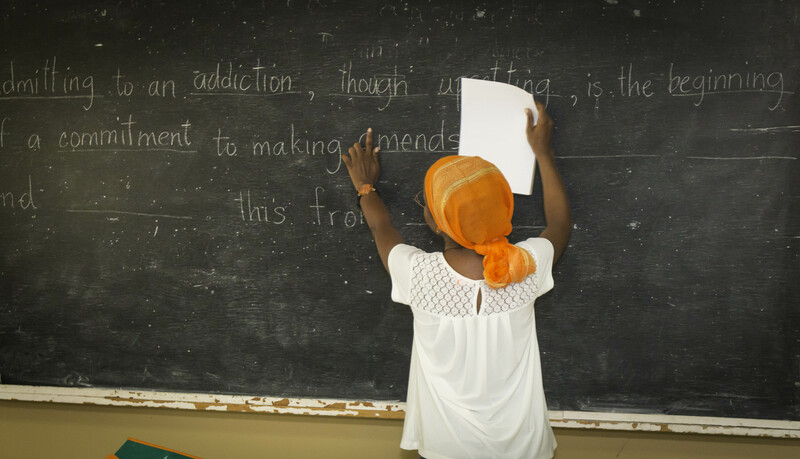 For the past twenty five years ALTA has delivered literacy instruction to adults in Trinidad and Tobago. ALTA students come from a wide range of backgrounds and come to ALTA for many different reasons. For some, ALTA represents an opportunity to be able to read to their children or help them with their homework. For others, ALTA gives them the opportunity to further their studies or live life freely, never having to decline a job offer or a relationship due to their literacy problems. Thousands of ALTA students have graduated the program at different levels and gone on to obtain school leaving certificates, Associate degrees, Undergraduate degrees and full time employment. Many others are now benefitting from new found self-confidence and independence. Today, an ALTA graduate, John Bascombe shares his story. John lives in Central Trinidad and came to ALTA as a Level One student in September 2009. In July 2013 he graduated from ALTA and has gone on to do great things! Read more below. “The way we are taught to learn to read in school …I don’t believe that is the right way for everyone…I never learned to read. After failing Common Entrance I went to trade school but still never learned to read and write. I first heard about ALTA from a friend after I couldn’t sit CXC exams because of my literacy struggles. She told me about the program but I decided to go to night classes instead. They were a waste of my time, there was no structure, it was highly disorganized and it wasn’t a space for someone who could not read and write. I was hesitant about joining ALTA because I felt that it would be the same sort of experience… no structure and no real idea what was going on. I then moved to the United Kingdom to start a new life and while there met an older woman who could not hear, walk or speak but was able to communicate through writing. This touched me and I felt that it was time that I learn to do so. I didn’t plan to return home to Trinidad but due to passport issues I had no choice. When I returned, I enrolled in YTEPP and my course was taught by a woman who was also an ALTA tutor. She encouraged me to come to ALTA. I started ALTA in 2009 in Level 1 and graduated from Level 3 in 2013. After ALTA I went on to do CSEC Math, English, Economics, POB and History and then CAPE Economics, MOB and Entrepreneurship and Psychology. ALTA’s system is really organized, the things I learned in the ALTA classroom helped me with my CAPE exams…my colleagues thought I was the brightest student. I now work at the Kiss Baking Company in the van loading department and have decided to continue my studies by pursuing law. It is my wish to be a voice to the voiceless and I hope one day to give back to ALTA by becoming a tutor. Last year I applied to the University of London through the Institute of Law and Academic Studies (ILAS) and I was accepted! ALTA is extremely proud of John and all our students who go on to live their best life with ALTA. ALTA’s Tutor Training course is carried out around the country every year in April and May in preparation for tutors’ entrance to the ALTA classroom in September. ALTA’s classroom and teaching style are different to what students would have experienced at school and so all potential tutors, even those with years of teaching experience start on an equal footing. In fact, many teachers find it a bit difficult to adjust to the ALTA way of doing things after years in the teaching service. Today, Adriana Smith, a soon to be ALTA Tutor based in South Trinidad shares her experience with the course. 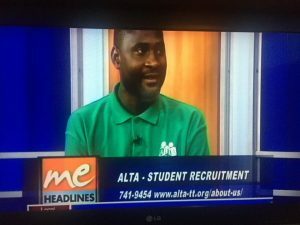 Ever since I retired from my job nine years ago, I wanted to volunteer with ALTA but every year all sorts of things came up and I had to put it off. Finally this year, there was nothing to keep me back and so I went for the interview. The little test was a bit intimidating but I did my best. Going to school in the 1950s, there wasn’t anything called phonics and so I was a bit skeptical about learning in this new way. After the interview, I was told that I had to observe eight classes and I thought this would either make or break me. The first class I observed was a rude awakening for me. I was shocked to see the simple words these students could not read and I thought to myself, “Wow, this is going to be a challenge.” I started looking forward to attending these observations and I liked interacting with the students. I completed the entire observation period and I was very happy to be chosen as a tutor. After that came the more difficult part – training. Training went on for six weeks and I have to say that I learned a lot but it was so intense. Many times I found it difficult to digest everything. ALTA presents a whole new way of learning and my old brain had some difficulty remembering everything. However I enjoyed the training thoroughly and was able to persevere till the end. It made me wonder though, if this training course was so challenging for me, what is it like for ALTA students who come in with limited reading and writing capabilities. I can only imagine their frustration. ALTA tutors must have a lot of patience with their students and give them a lot of encouragement. I am looking forward to teaching in September after a rewarding training course. Did you know that there are approximately three thousand non-governmental organizations (NGOs) in Trinidad and Tobago? The need for NGOs is dire as we are all aware of the host of social issues which plague our country. From sexual violence to poor literacy, treatment of the differently abled to stigma against mentally ill people most NGOs work extremely hard with little to no resources tackling a plethora of issues. For the past five years the JB Fernandes Memorial Trust has invested in the development of the local NGO sector. One way in which they have done this is by hosting capacity building workshops which increase the efficiency and effectiveness of those who attend. This in turn strengthens the NGO sector and increases the likelihood of sustainability. This year was no different and eighty local NGOs were given the opportunity to learn and network at the 2017 NGO Professionals Seminar which focused on Social Entrepreneurship for NGOs. The event which was organised by the Arthur Lok Jack Graduate School of Business was well attended and enjoyed. While the focus was on social entrepreneurship there were other workshops on social media marketing for NGOs, finance and accounting, brand storytelling and grant proposal writing. All workshops were delivered by experienced professionals who were eager to share and not only inspired those in attendance but gave practical ideas which NGOs could use to increase their online presence, effectively tell their stories, practice transparency and accountability and write clear, detailed and persuasive proposals. 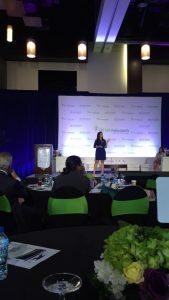 The main address on social entrepreneurship was delivered by Tanushree Luthra of Nourish TT a local non-profit which aims to alleviate hunger and reduce food wastage in Trinidad and Tobago. She defined social entrepreneurship as the confluence of the ‘good’ intentions of charitable work and the ‘smarts’ of the corporate world. As ALTA Online is our first attempt at the ‘fee for service’ model of social entrepreneurship we were pleased for the exposure. The fee for service model entails a social enterprise in this case, ALTA selling its product or service (ALTA Online) directly to the public market. We were also treated to an address by Mrs Nichola Harvey-Mitchell of the We Say Y.E.S. Organization who spoke of the journey she took when starting her NGO. She touched on some extremely important lessons for NGOs from using a corporate approach to run NGOs to the need for structure and accountability to ensure transparency, sustainability and efficiency. Every year at the workshop, the JB Fernandes Memorial Trust also presents an award for NGO Excellence. In 2014, ALTA was the recipient of the award. This year the Caribbean Kids and Families Therapies Organization (CKFTO) was awarded for their stellar work in the provision of therapy and support services to all children in need. The 2017 workshop was an overall success and ALTA is extremely grateful to have once again benefitted from the investment that the Trust makes in the development of the local NGO sector. Every year between the months of April and May, ALTA runs a six week training course for potential tutors. The training course is known to be intense but extremely beneficial for prospective tutors, readying them almost completely for the ALTA classroom. The theoretical aspect of the training is completed in six sessions but the practical aspect is completed over one academic year in ALTA classrooms around the country. At the end of this, the trainee is certified as an ALTA tutor. One of ALTA’s 2017 trainees, Savita K-Mohammed who attended the recently completed training course in San Fernando, put pen to paper to share her experience with ALTA over the past six weeks. My first experience with ALTA started with an interview at their San Fernando office. I could not understand how I could be nervous and anxious for a position I was volunteering for. Thankfully my interviewer’s soft-spoken and calm manner relaxed me. After a positive pass, the next step was the observation process – I had to observe an ALTA class in action for eight sessions. On day one at the Princess Town Library, I had a huge learning experience. Firstly, I didn’t know how I would feel, how to react to the students or how they would react to me. They seemed quite intrigued by a new person in their classroom and a burst of laughter broke the ice when I mentioned how nervous I was. I instantly, went from being anxious to feeling confident. During the observations I was amazed at the methods and skills used in teaching. The ALTA tutors were very encouraging and enlightening. By the end of the eight observation classes, I realised that the ability of the students was a lot higher than I expected and their ability levels also varied. They participated enthusiastically in the lessons and those who completed their exercises with ease helped others who lagged behind. In this way, the tutors did not face the challenge of managing the large class alone. At ALTA, students follow a set process of learning and move through these stages in a logical order. I observed that the challenges of teaching go beyond the obvious lesson planning, marking work and report writing. ALTA tutors are required to plan according to the various ability levels of the students and anticipate the different responses the students may have toward activities. The tutors seemed to complement each other while teaching and adapted the lessons for students of varying literacy levels. The terminology and concepts which are used by ALTA were alien to me until I started the training course. During training, I definitely saw why the observation process was necessary. One of the best and most important parts of the training was learning how to teach the various skills of listening, speaking, reading and writing and knowing the approach needed to teach each of these skills effectively. One of the highlights was when I had the chance to teach my fellow trainees as if they were ALTA students. This experience was very intriguing as we learned to work together just as we will be doing in the ALTA classroom. ALTA’s founder, Paula Lucie Smith and her team of facilitators made many efforts to help us feel relaxed and confident and this had a very positive impact on how I feel about being in the ALTA programme. I would like to warmly and deeply thank all trainees and my colleagues for the unforgettable and enjoyable six sessions that we spent together. Our journey has just begun. The Adult Literacy Tutors Association, a non-profit organization in existence since 1992, provides the only comprehensive, structured, adult literacy programme in Trinidad and Tobago. #84 Belmont Circular Road, Belmont, Port of Spain, Trinidad. First Floor, PTSC Terminal Mall, O’Meara Road & Priority Bus Route. 3rd Floor, St. Paul’s Anglican Church, Harris Promenade. How to talk to someone about ALTA! Reading and writing is a skill like any other. Talk to someone about joining an ALTA class today.